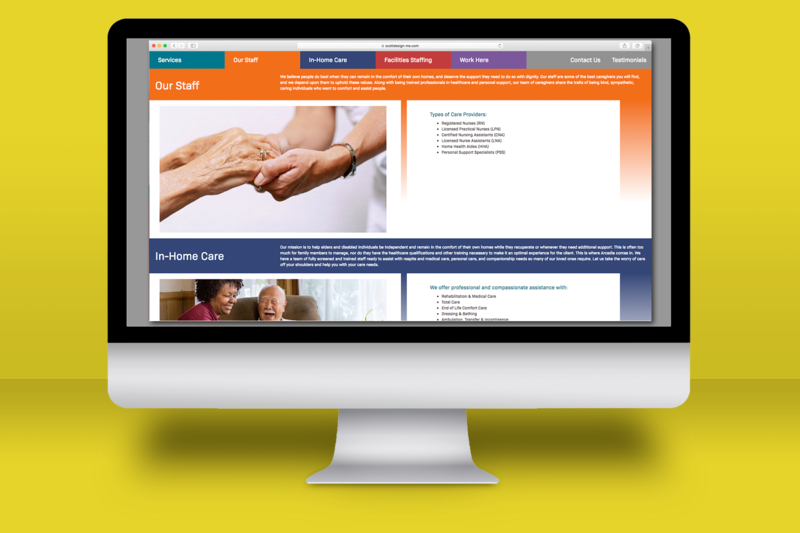 Our role on this project was for page layout and interactive infrastructure design. 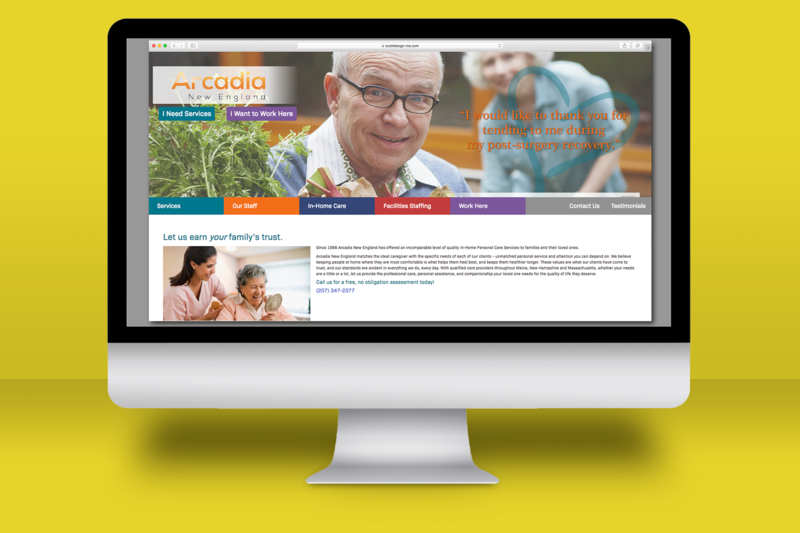 The client’s objective was for a site that was easy to understand and use, especially for elders. The design does this by bright colors in the menu that coincide with a color section that matching the subject. Once you go into the sub pages, the design changes featuring that subject’s color as a background color. That color matches and connects to the menu tab allowing for easy understanding to what page the user is on. 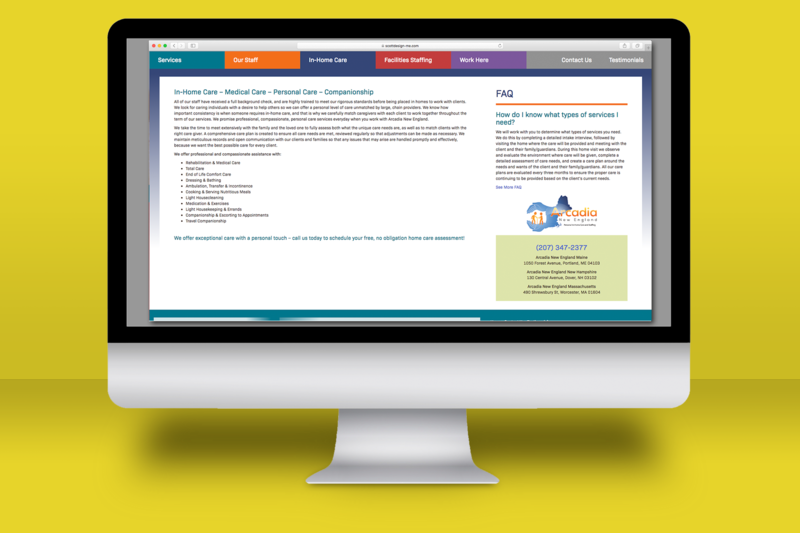 Home page has an overview of each service provided. 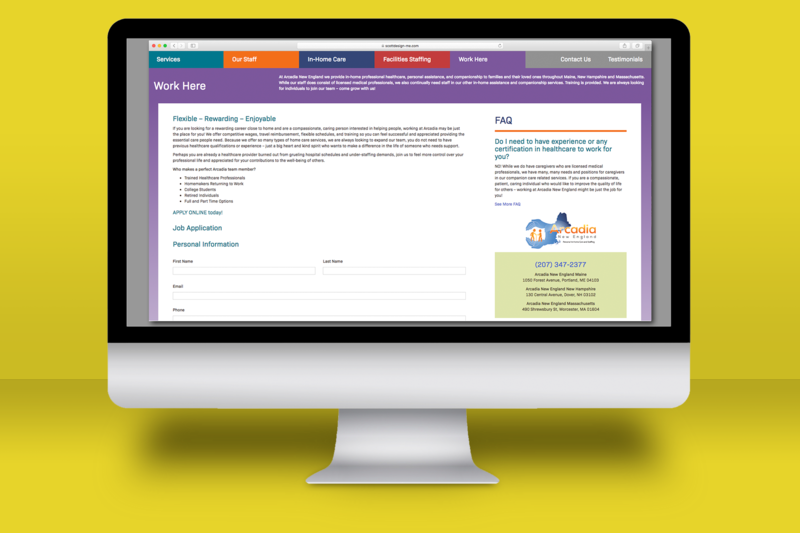 Quick links that allow for service providers and possible new clients to sign up and/or search through the site.